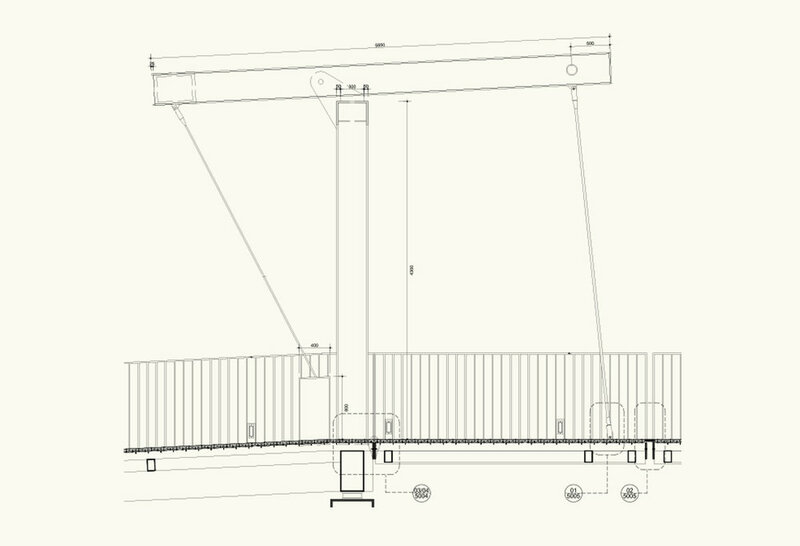 Dock Bridge, the 'centre piece' of Great Eastern Quays was designed collaboratively by Maccreanor Lavington and Jane Wernick Associates, now part of engineersHRW. The bridge is a functional bascule bridge, inspired by the traditional dutch bridge. The opening mechanism allows for dock maintenance and the mooring of workspace barges within the docks complementing the new workspaces and workshops on the ground level of all facing buildings. The bridge completes a loop of the dockside connecting public spaces and buildings with the impounding dock at its centre.